It was in 1998, the first time I got reacquainted with an old vegetable; to be honest, I had never heard about Parsnips until I moved to Ireland. 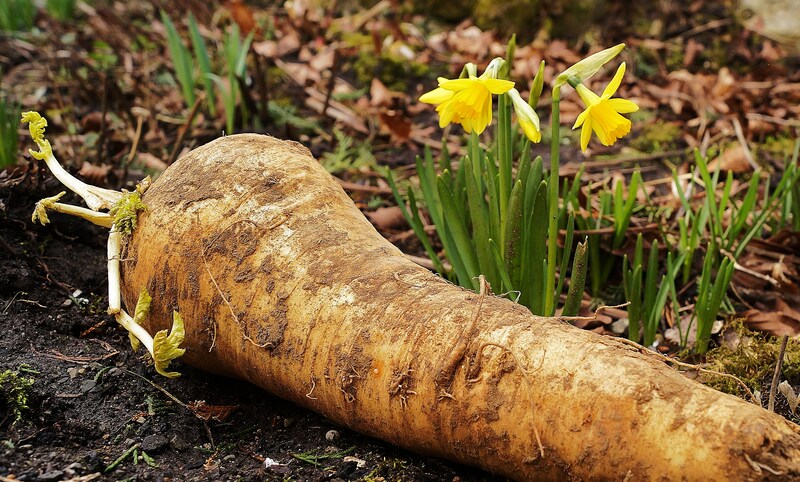 Shame on me I know, but this wonderful root had almost disappeared from the French culinary landscape. Related to carrots and funny enough parsley (the vegetable Kingdom is full of surprises, just as much as the animal one; did you know that cranes and coots are related? ), it is amazing that one of the world’s gastronomic nations had lost its touch with “Le panais”… I am dying with embarrassment here, as I haven’t even heard of its French word until then. Ireland though, never gave up. 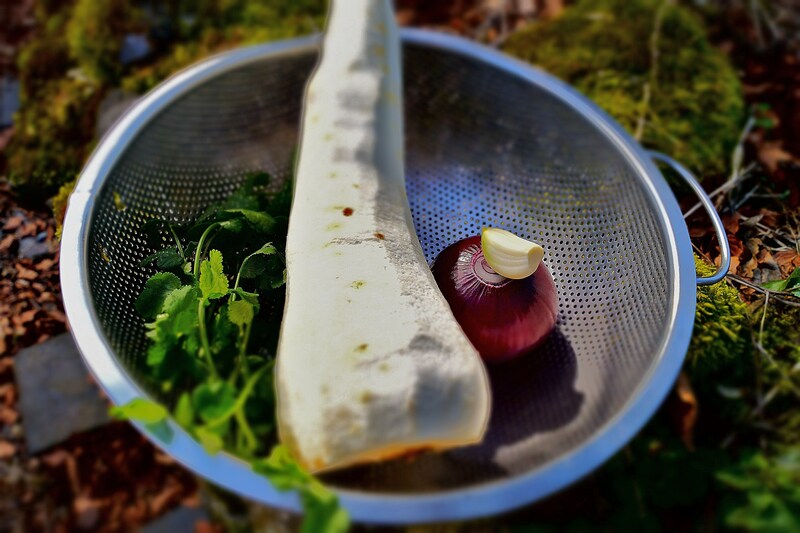 Before fancy restaurants and fancy chefs put it back on the menu, often as a roasted form, I first fell in love with parsnip when I tasted it in a soup. My Parisian colleague, who hailed from a long line of chefs and cooks, knew all about the auld root. My first impression when I tried the soup, was being overwhelmed by a taste of coconut, or rather the same smell you get when the gorse is on flower in May; sweet, earthy and incredibly wholesome. Why on Earth did we leave it behind, even for a while, is beyond me. If you want to amplify those flavours and that feeling, cut it into strips and/ or small chunks and then roast in a hot oven with olive or rapeseed oil; a great side order. But for now, back to our soup, the wonderful encounter, re-enacted “á la Hungry” from a Galway kitchen memory. 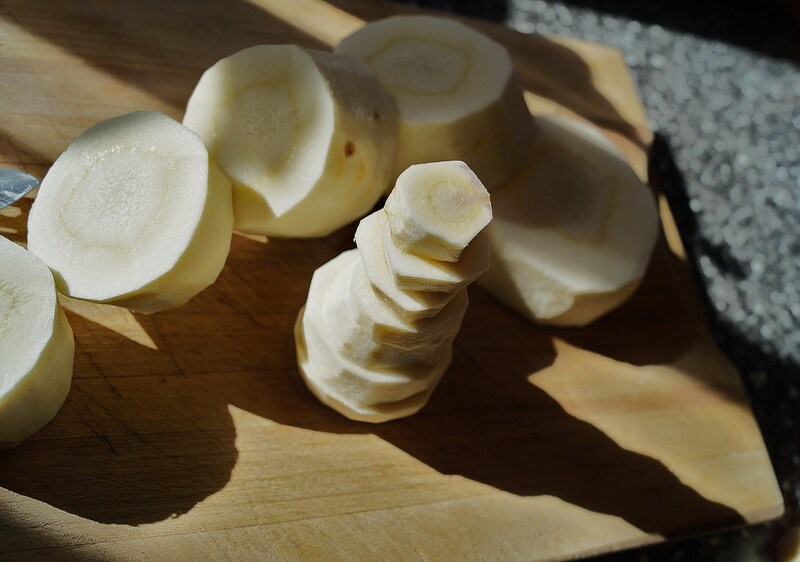 How to: Wash the parsnip(s) if necessary and peel. Also peel the onion and the garlic clove. You want to get even pieces for later whizzing. I start with olive oil, and get a bit of colour going; this will amplify the taste of the ingredients. A great tip is to throw a pinch of sea salt at that stage, and remember that you can always add more to taste later if necessary. 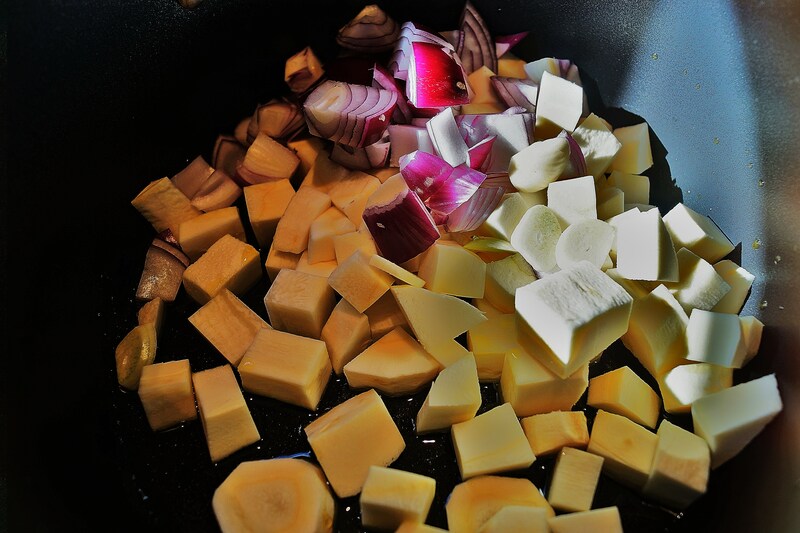 Top the ingredients with water; I do not use stock as I like to keep the rich original flavours. Let the lot simmer until the parsnip is soft. Roughly chop the fresh coriander, a quick mill of the black pepper and whizz. Put it back on the stove for further simmering, do not be afraid to taste or add water if too thick. I’d rather not use flour to thicken the whole thing as I find it unnecessary. Serve with a drizzle of Camelina oil (its earthy, nutty flavours will work well in this case) and a couple of your favourite bread, toasted and then toasted again with your favourite cheese. I chose a young Comté for this one… All habits die hard! 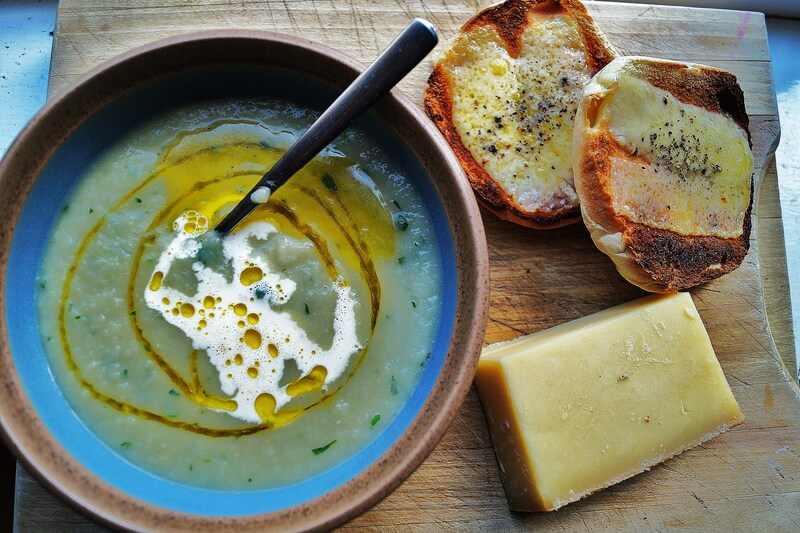 Serve with your favourite cheese toastie, a bit of fresh cream, and a drizzle of Camelina oil. If you want to know more about Camelina oil, check this website www.newgrangegold.ie/our-products/camelina-oil producers in Slane Co. Meath Ireland. It is the new foodies best kept secret!